Elevator Automatic Rescue Device(ARD) is a battery powered device to rescue traped passengers under emergency power outage.Its core part is an industrial-grade highly reliable microprocessor made in Japan. An intelligent power module(IPM) is used in its output module and powered by batteries.When power failure or elevator control system breaking down occurs,this device will automatically sense the failure,take over elevator control and drive it to the nearest floor,open car door and allow passengers exit safely. 1.Highly Reliable:proprietary modular system control design;worldwide industry leading technology of system isolation;no interference with other elevator electrical system. 2.Excellent Performance:large current,large power ,large torque,super low frequency,long emergency travel distance (984ft/300m),multi-function. 3.Maintenance Free:automatic battery charge/discharge at right time,various battery protection function. 5.Unequivocal Riding Direction Determination:fast unequivocal determintion of riding direction;elevator moving toward saving direction(up or down). 6.Compatibility:compatible with all kind of elevators manufactured worldwide,AC&Dc,dearless,machineroomless,hydraulic,explosion-proof,ect. If you need more detail,pls call or email us. With the high development of city construction and the improvement of building level, Automatic Escalator is more and more popular, found in store, hotel and restaurant, airport, station , wharf, metro and other public places. The traditional Automatic Escalator was manually controlled. It could be used in crowded and streamed stores, but is not suitable for high-class hotel, restaurant, airport,station , wharf, metro and other public places because of the discontinuity of the crow. In these places, the visitors stream is in batches, and the time discontinuity is much more longer. Take metro for example,it passes every 9 minutes, and relatively, passengers go out for less than 1 minute.It means that the escalator runs effectively only 1 minute, while the remaining 8 minutes runs ineffectively. The energy utilization ratio is only about 1/9. Meanwhile, the abrasion also increases by 8 times. Automatic Escalator Intelligent Energy Saving Device adpots the international high technology. It can automatically identifies that if there is somebody or nobody on. It runs automatically when somebody on , while stops automatically when nobody on. It can greatly reduce the energy waste and the abrasion, save energy charge and the cost, and lower down its malfunction. It is a new energy saving technology with high use value and conspicuous economic return. In China, it is considerable supported , encouraged and promoted by the government. Elevator Computer Voice Announcer uses special large-scale integrated voice chip and a large digital memory. It satisfies the needs of high quality voice announcing in various situations. Besides standard landing voice announcement, it can also report announcing elevator running direction, play background music/advertisement, report resident of specified floor. We also offer multi-language voice announcer such as English, Japanese, and French. It has such feature as flexible input, reliable operation and strong interference-resistant. 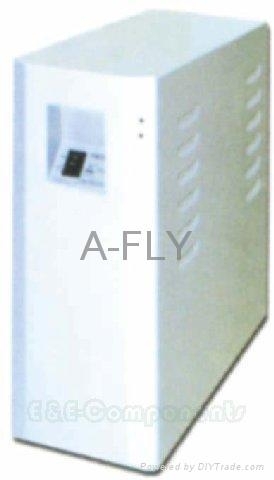 It is well suited for hotel, office/ residential building and hospitals.